A builder who enters into a contract with a homeowner is bound by a set of promises. 1. That the work is performed in a proper and workmanlike manner. 2. All materials supplied are good and suitable for the purpose for which they are used and that, unless otherwise stated, the materials are new when used. 3. That the work is done in accordance with, and complies with, the law in place at the time of building. 4. That the work results in a dwelling that is reasonably fit for occupation. 5. That the work and any materials used in doing the work will be reasonably fit for the specified purpose or result, if the person for whom the work is done expressly makes the purpose or result known to the contractor, so as to show that the owner relies on the contractors skill and judgment. Unfortunately, many builders do not know what they can do to protect themselves from a claim for a breach of these promises by a homeowner. A common problem faced by builders, is where they are sued for a breach of the promises, even when they have followed the specifications and plans issued by the homeowner. This often arises, where the specifications and plans result in a defect or other form of damage. In most instances, this defect/damage could have been predicted by the builder. If a builder is sued, he cannot try to avoid liability by simply saying that he followed the specifications and plans. This is not enough. A builder can only defend a claim for a breach of the promises in this situation, if he has provided written notice to the homeowner of the risk of a defect/damage arising if the specifications and plans are followed, and recommended against using the specifications and plans in their current form. If the homeowner continues to instruct the builder to follow the specifications and plans, then the builder has a defence should a defect or damage arise. A builder telling the homeowner of his concerns is not sufficient. The advice given to the homeowner must be in writing. A builder is contracted to build an extension at the rear of a single storey home. The builder is on site during the works, and is supervising subcontractors that he has engaged to assist with these works. One week into construction, the area has been excavated and levelled and the support beams have been erected. The next step was to erect the roof rafters. The builder is inspecting the plans and realises that rafters are not going to be at an angle sufficient to allow adequate run off and drainage from the roof in the event of rain. The builder provides written notice to the homeowner advising of the risks of proceeding with the current angle of the roof and recommending that the angle increase to overcome these risks. In response, the homeowner says they do not want to change the roof. The builder continues to build the extension in accordance with the plans and the extension is completed. Twelve months later, after a series of heavy storms, the roof over the rear extension begins to leak, causing extensive water damage to the floor. 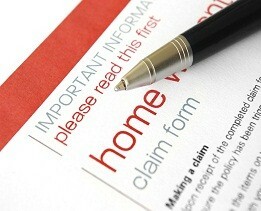 The homeowner brings a claim against the builder for a breach of the promises. At the hearing at the CTTT, the builder produces a copy of the written advice he gave to the homeowner and is successful. If the builder had only told the homeowner of his concerns with the roof, he would not have been successful. It is important that where a builder has any concerns about the plans or specifications for residential building works, that these concerns and the builder’s recommendations are put into writing and given to the appropriate person, whether it be the homeowner, site manager, architect etc. This should be done as soon as the concern arises and preferably before the works in issue are commenced.